Introduce your child to painting with the vibrant pigment and colors of Acrylic Paint. 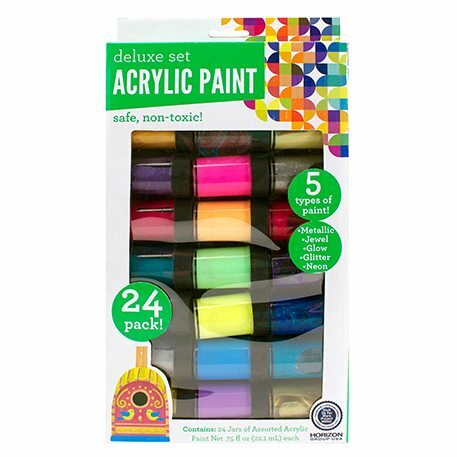 Great for mixing colors and using on a variety of art mediums such as paper, wood, and cardboard. Encourage imagination and creativity with this paint pack of 24 assorted colors!